On the 27th and 28thof September, the International Forum on Biotechnology and Bioeconomy IFIB 2018 took place in Torino (Italy). The event was organised by Assobiotec, the Italian Association for the development of biotechnology which is part of the National Federation of Chemical Industry (Federchimica), together with Innovhub-SSI, the Italian Green Chemistry Cluster SPRING, Regione Piemonte and University of Turin – aimed at strengthening the bioeconomy network in the Euro-Mediterranean area and to promote partnerships. The focus of the Forum was biotechnology, as the provider of new resources for industries. IFIB was organised into round tables and sessions devoted to specific sub-sectors of industrial biotechnology: bio-based industries, agro-food, energy, environment policies on industrial biotech and bioeconomy, involving international speakers coming from key sector’s players. During the conference, the IFIB participants were requested to suggest the key questions they believe should be addressed to boost bioeconomy and Bio-Based products market uptake, interacting with posters in a dedicated space. 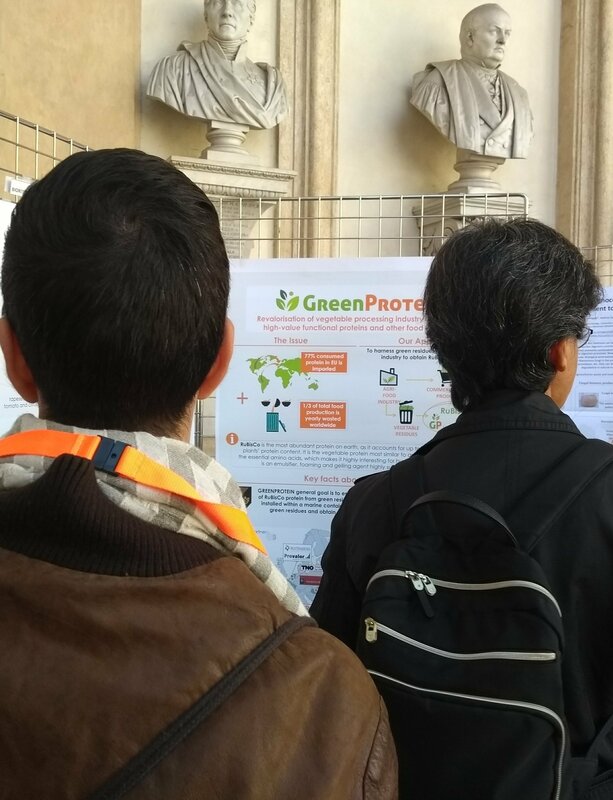 Our Dissemination and Communication partner, Innovarum, attended the event and was able to display our Green Protein poster in this space, presenting the project’s contribution to bioeconomy: to produce high-added value, food grade proteins and other ingredients from greenfield waste. The project drew the attention of many IFIB attendees, who were interested in the possibility of obtaining functional proteins and ingredients from actual waste.